Public workshop registration includes course materials, lunch and refreshments. Public workshop registration includes course materials, lunch and refreshments. Courses are held from 9am until 5pm with an hour break for lunch, and a short break for morning and afternoon tea. Please advise if you have any dietary requirements. Not sure which course is right for you? Fill in our needs analysis form, and we’ll get back to you with our recommendations. 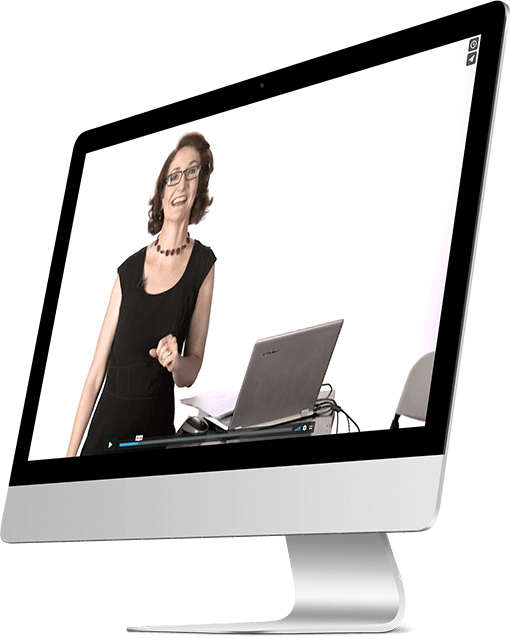 Public courses are held in the CBDs of Sydney, Melbourne and Brisbane. Please bring a jacket as seminar rooms can be cool at times. It is usual for each student to be asked to briefly introduce themselves at the beginning of the day. Please advise if you would prefer not to do this. Public courses are run in a computer laboratory and workstations are provided so that participants can work in Excel on practical applications of content covered in the course. 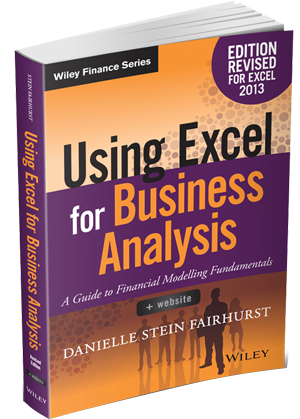 The course is normally demonstrated using Excel 2016 and participants can choose to use a previous version of Excel if they prefer. If participants are more comfortable using their own laptops, they are most welcome to bring their own equipment. PCs are used during this course, so Apple Macintosh users may prefer to bring their own laptops. Each version of Excel differs somewhat but it does not really matter which version you are using, as the machines used during class have several different versions installed so students may use whichever version they prefer. If you’re not sure which version you are using, and for an overview of the major differences between versions, please see the blog article Which version of Excel am I using? A reasonable level of Excel is required for these courses. They are designed for users who use Excel fairly regularly, and are comfortable with using formulas and know their way around the basic functions of Excel. It is assumed that students will know how to link between worksheets, and create some formulas. These courses are not designed to teach Excel, rather the use of Excel in a modelling situation. Formulas such as VLOOKUP, SUMIF and IF and AND are used, and if they are not already known by the students they will be covered briefly. Complex formulas are documented in the course manual or book received by each student. If you would like to brush up on your Excel skills prior to coming on a course, Plum Solutions has compiled a list of free Microsoft Excel tutorials which are most relevant to Financial Analysis. You might also consider Chandoo’s online Excel School prior to coming on the course. Each student will build their own model/s during the day/s and can bring them home with them. Students will be supplied with a 1GB USB memory stick on which to save their work and take it away. If your company does not allow use of external drives it can be emailed to you. A pre-course survey will be distributed to assess your skill level prior to coming on the course. If you are unsure about your suitability for this course or have any other questions, please phone our office on 0298187250. Once you have attended the course and if at any time you’re struggling to do something that was covered in the course, contact us and a consultant will provide assistance on how to solve your problem. 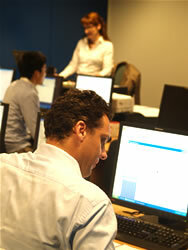 All participants receive a complimentary four weeks registration to the Financial Modelling Support Centre. We’re confident that you will achieve your training outcomes with courses held by Plum Solutions. If you are dissatisfied with one of our courses or feel that your skills have not improved as a result of one of our courses, we will endeavour to provide additional support to ensure that you achieve your outcomes.